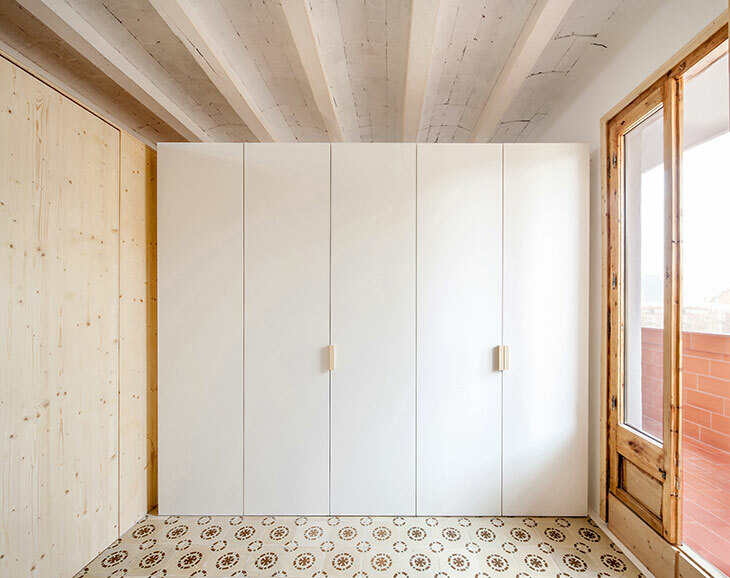 The intervention is located in an attic of a residential complex, built in the end of the 19th century in the neighborhood of Sants. The house is in a retracted position, respect to the plan of the main façade. A common practice in our cities, that benefits the streets by providing more light and air, and favors neighbors serving them quite often with a terrace of common use. 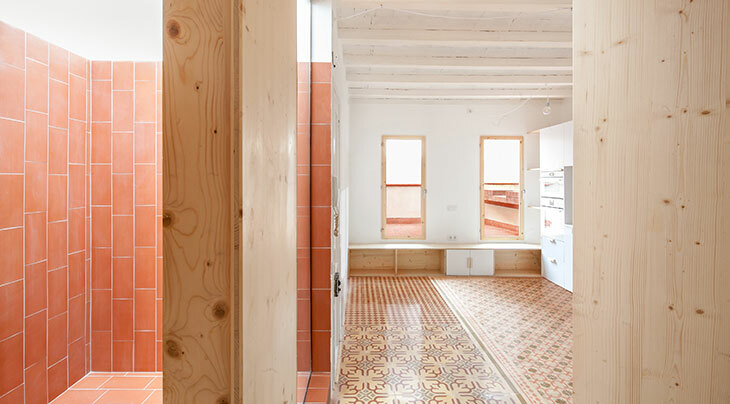 In our particular case we find a floor of 40m², with two terraces and a central courtyard. The terraces present a contradiction. On the main terrace facing South, toward the street, despite being of private use, the access is given exclusively through the communal staircase. On the rear terrace, facing North and overlooking the courtyard, some enclosures have nullified the exterior character of the space, drowning its interior. 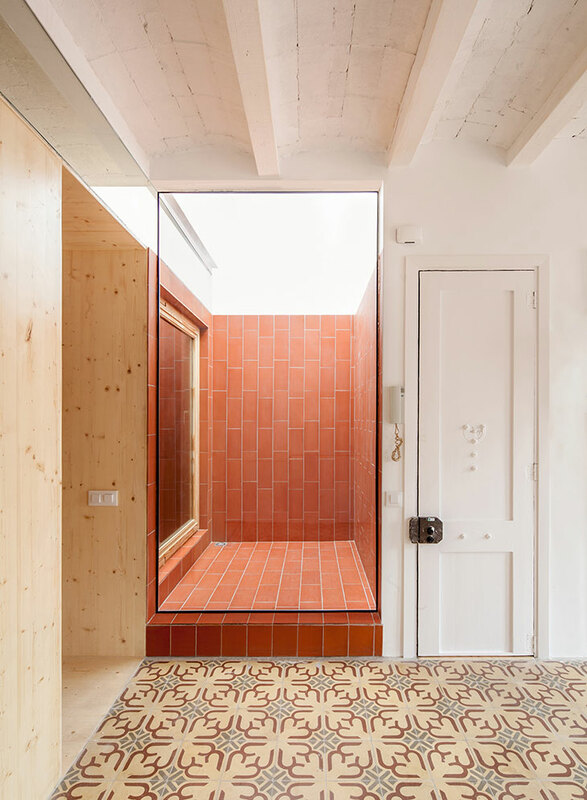 The courtyard, does not fulfill its function; being inaccessible and with its small openings, neither allow to ventilate nor contribute in lighting the space around. 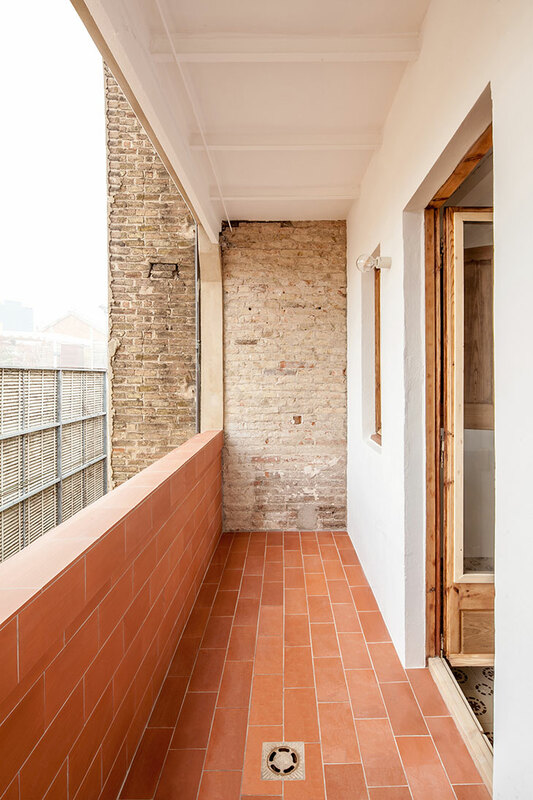 In the main terrace, it is decided to remove the community access and transform the two small windows of two old rooms into a double private access. This allows the interior life to be extended, making the enjoyment of an outside space possible. 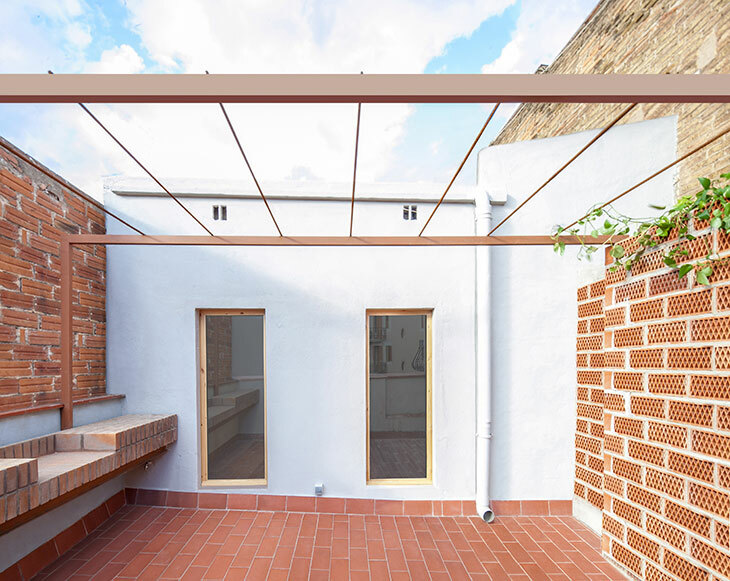 In that space a barbecue and a storage room, with a garden roof, where vegetation climbs through a pergola, positioned as a bridge between both, will protect the user with a shade in the hottest months. 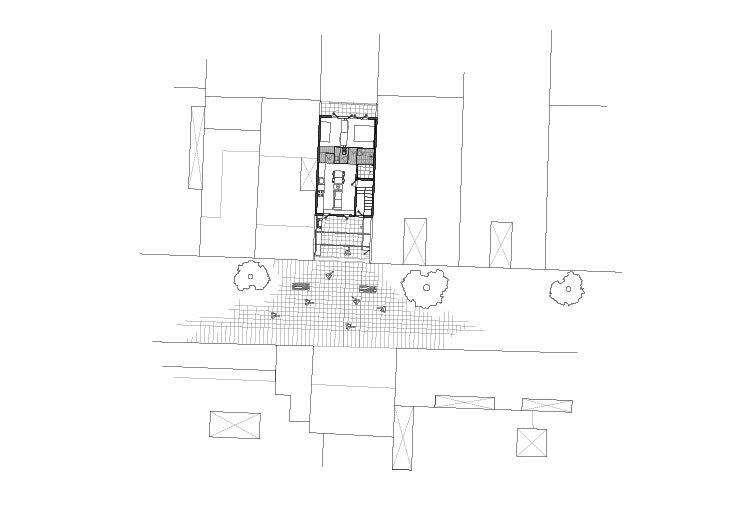 As for the rear terrace, the aim is to eliminate all overlapping enclosures. 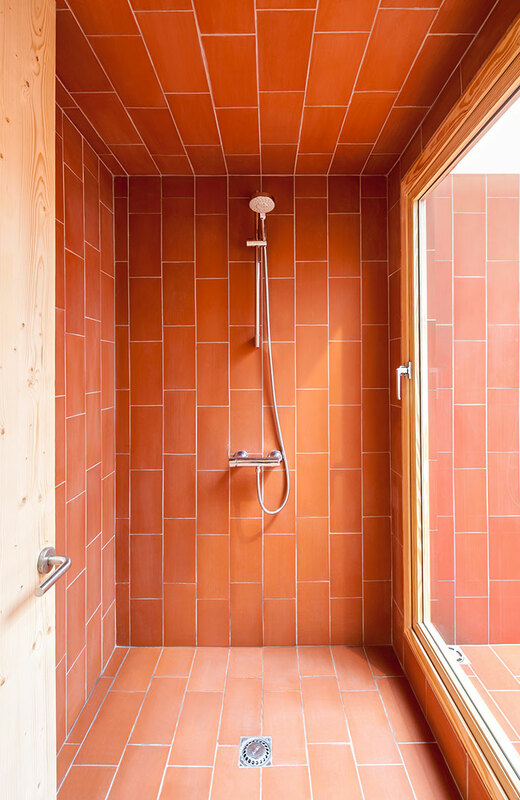 This brings back to life a façade that originally brought air and light to the interior rooms. 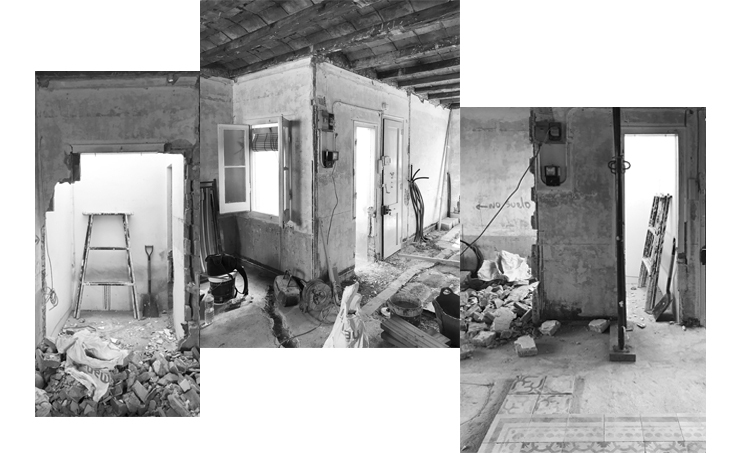 All this makes the house float again between two outdoor spaces / terraces; perhaps for the first time in direct connection with the interior. 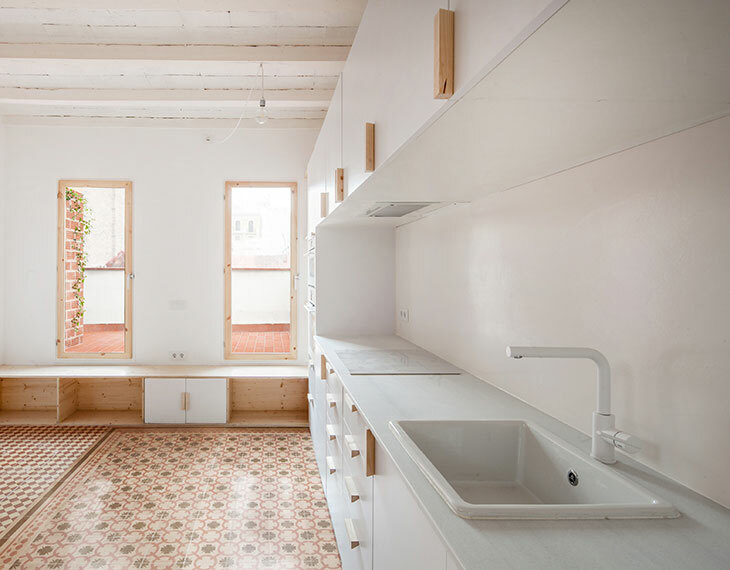 That is the moment when the courtyard seems to take more interest, because of the releasement from its constraints, its meaning is ultimately revealed, transcending its functionality, because now not only the house pivots between two terraces but each of its interior space is positioned between two exterior spaces, reproducing on a smaller scale what happens in a greater order. 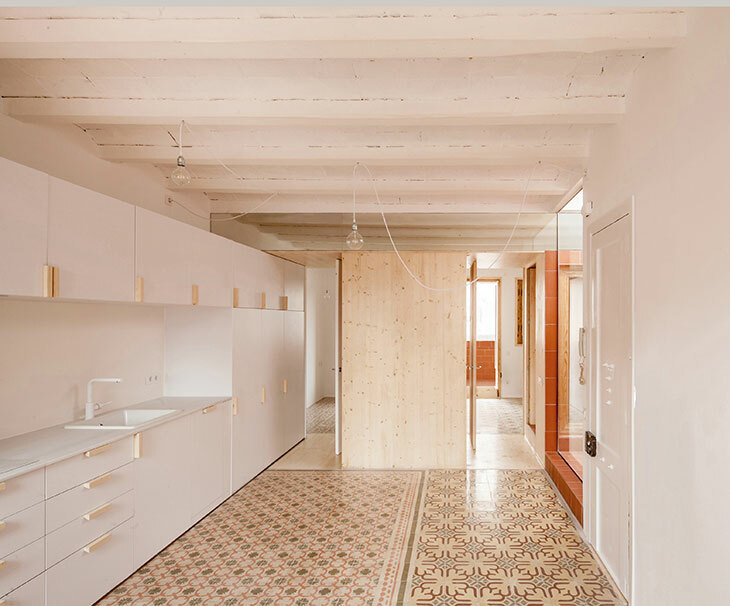 Once these new dialogues have been established, it was finally time to concentrate on the materiality and the distribution of the project spaces. Initial samples revealed valuable hydraulic pavements that were recovered and later relocated, according to the new program. Some hurdles, deteriorated by humidity were eliminated, revealing structural elements of the roof that were whitewashed. 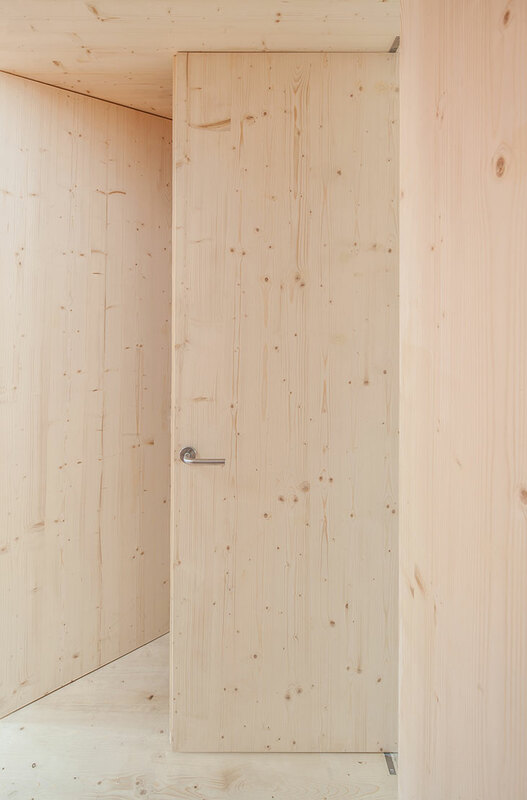 In the middle of the space has been located a box of fir, that would contain the humid zones, splitting the public sector and the private one, also generating through it a very useful free circulation between the spaces. 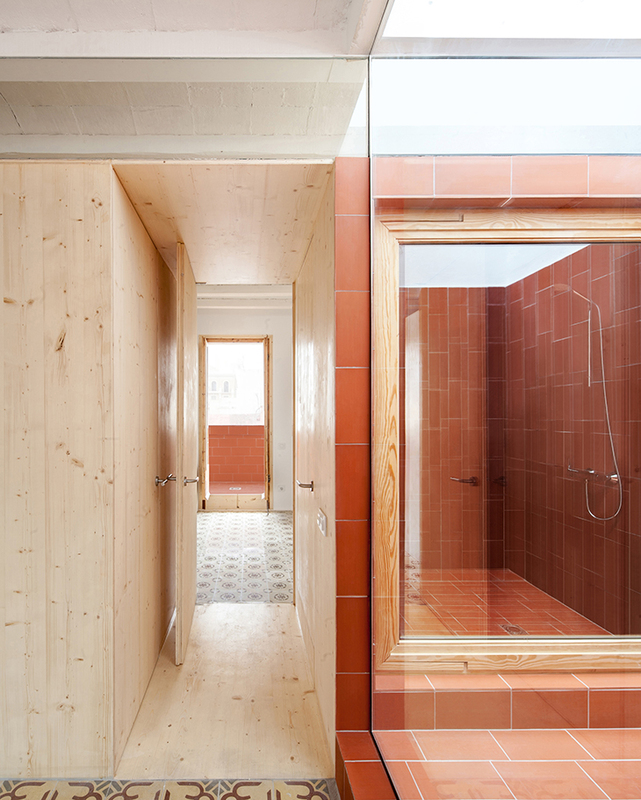 Inside the box, a shower of ceramic tiles extends towards the courtyard. 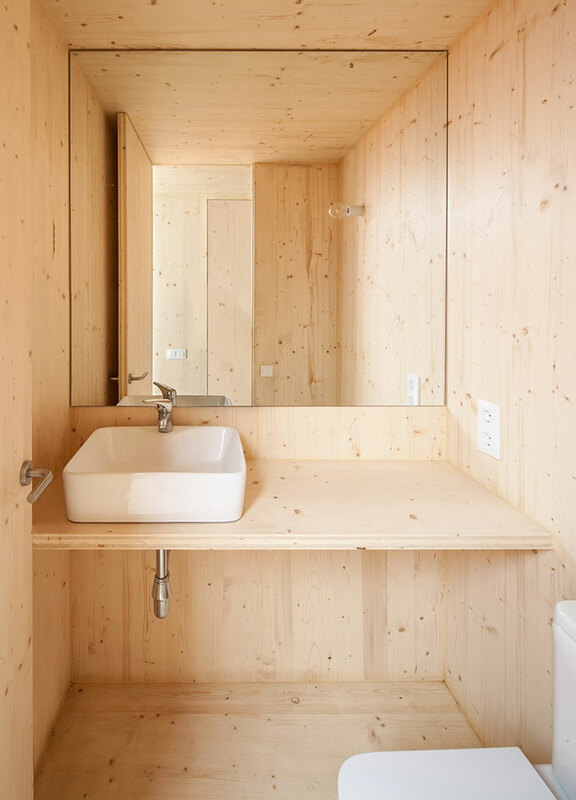 Certainly, it is the exterior that spaced throughout the whole house.